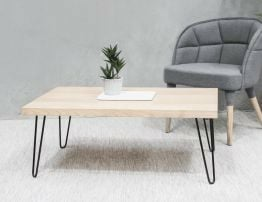 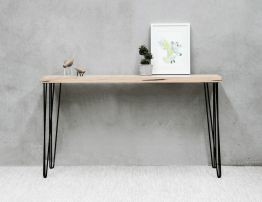 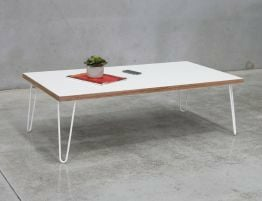 The White Bernie Plywood Dining Table is a new modern dining table that is sure to blow you away. 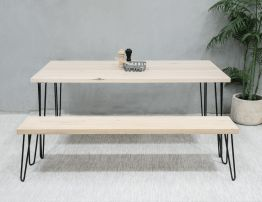 Cut beautifully exposing the many layers of plywood, the Bernie Table is a more affordable and unique seating option to compliment all family dining and entertainment experiences. 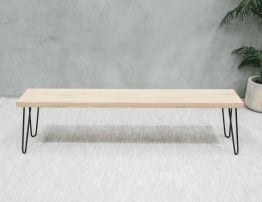 Set up specifically to allow a matching Bernie Plywood Bench, the detailing of the plywood leaves it adding a textured element and a more exclusive seating option. 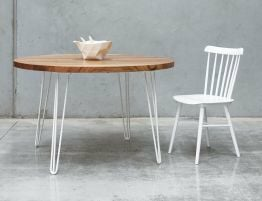 Whether it be a bench either side or just on one side with dining chairs down the other, its totally up to you and completely customisable. 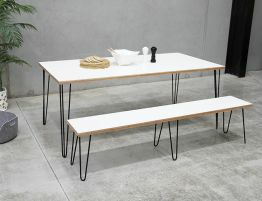 Available in a variety of sizes and leg colour either black or white, The Bernie Table range gives you endless options.